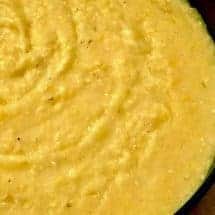 Instant Pot Polenta | An easy no-stir polenta recipe! Stop wasting your time stirring that polenta and use this Easy Instant Pot Polenta recipe. 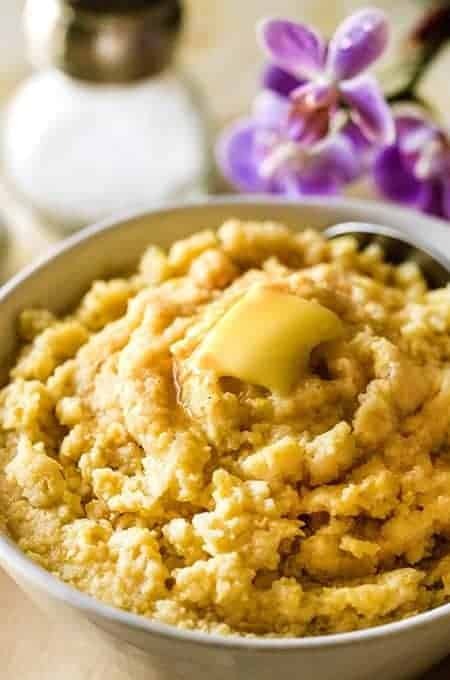 Try this one-step pressure cooker polenta for a creamy, delicious side dish! If you’re not familiar with polenta, it’s a dish made from boiling cornmeal. It’s a simple, savory dish that makes a great side dish or snack. It has a texture and consistency that is similar to grits, but it is a little chewier. Traditional Polenta requires some serious stirring which I am a) too lazy to do and b) I often can’t do when I’m flared with my Rheumatoid Arthritis. 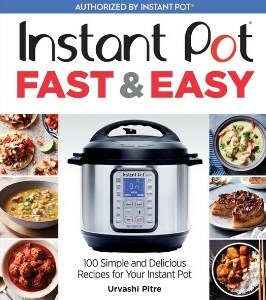 Enter the Instant Pot, which enables babysitting-free cooking for many things. My first attempt didn’t have enough water in it, and burned badly. Thank goodness for stainless steel inserts that you can scrub, although I would have loved a ceramic insert for this recipe. The second time around, I increased the amount of water, and it worked well. Looking for other great side dish recipes? Check out my Keto Creamed Spinach! 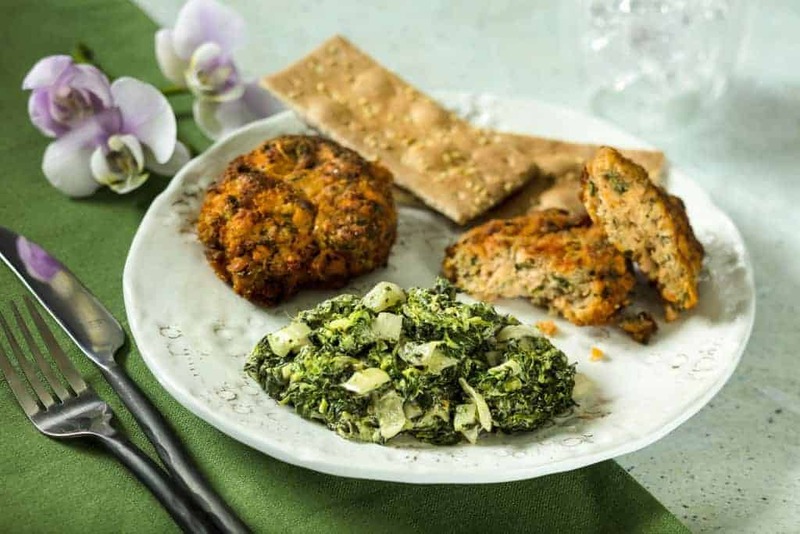 It’s probably my favorite way to eat spinach and it might become yours too! Another fantastic side dish is my Keto Cauliflower and Cheese. It’s creamy, delicious and easy to make in your instant pot! So whether you’re looking for an easy, no fuss polenta recipe or you’re trying polenta for the first time, you’re sure to love this recipe. It’s a simple, straight forward recipe with only a few ingredients and it takes very little effort on your part thanks to your instant pot or pressure cooker. So whether you’re looking for a side dish, snack or maybe even a full on entree, give this polenta recipe a try! 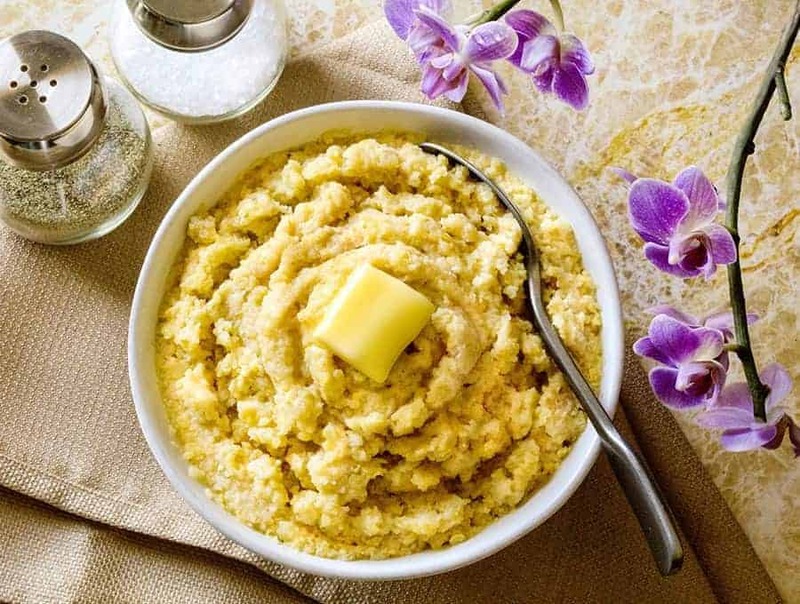 Make easy Instant Pot Polenta with this recipe. No stirring or babysitting the dish required, and it comes out creamy and perfect every time! As soon as it starts to boil, place and seal the lid, and set your Instant Pot on high pressure for 7 minutes and allow it to release pressure naturally when done. When you open the lid there will be some excess water in it. Using your whisk, blend in the butter, cheese, and half and half. The polenta will thicken as you whisk it all together. Allow it to rest for a little longer. The lightbulb in my head went on this morning when I thought “can you cook polenta in the instant pot?” I made some the other day the traditional way and my arm almost gave out. So here I am and I’m going to try this. My question is, will it firm up the same way to fry up when cool? This was the easiest and cleanest polenta recipe I have ever tried. It was great! I appreciate the recipe very much. Added roasted red peppers to it and it was like my grammie’s used to be. Thank you. This is a keeper. I’m bummed. Each time I try to make polenta in my instant it burns. I have a 3 qt. Lux mini. could this be the problem? Following the recipe exactly. Have tried several times and I get the burn code each time. The polenta doesn’t fully burn but leaves a thick layer on the bottom and the IP doesn’t continue to cook them once they start to stick to the bottom. We JUST made it two days ago to take new photos and it didn’t burn. I’m not entirely sure what’s going on with yours. Is your pot overheating in general with other recipes? I made it 2nite in my 3qt. duo mini…no issues…maybe your saute temp is too high? Having the same issue. Follow recipe exactly. Burn code comes on every time. What gives? My husband doesn’t like cheese (don’t ask!). 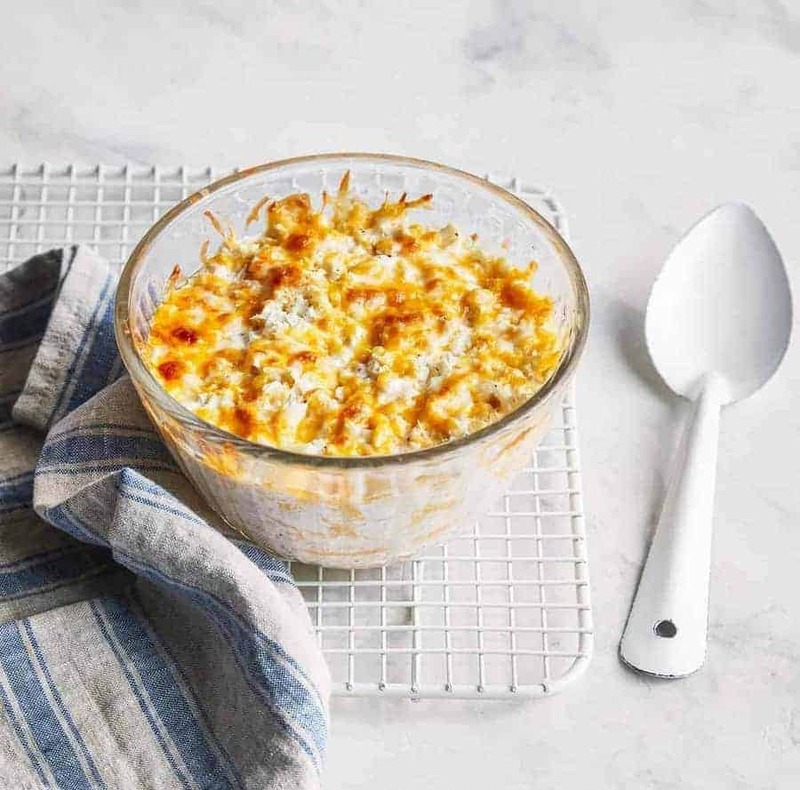 How should I adjust the ingredients if I omit the cheese? PS. 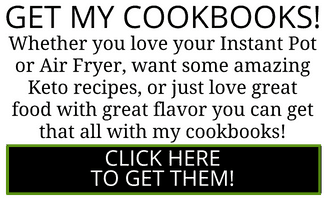 I bought your Indian cookbook and love it. Ate the coconut-tomato soup for lunch today. Another winner! I cut the ingredients in half and it was perfect for 2. We yummied up the entire thing in one sitting! Great recipe. 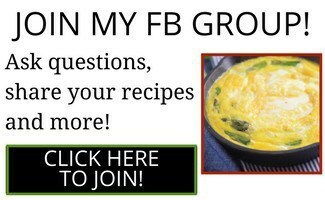 I am doing a pressure cooker class and making ratatouille with polenta, and would love to try your recipe. Would it be okay if I printed and distributed a copy of the recipe for each participant and instructor (21 total)? 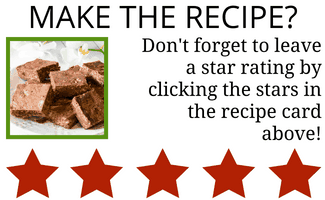 I would include your name and website on the recipe. Thanks. Not only would I be flattered if you did that, I think it’s wonderful that you asked. Most people would just do it without asking 🙂 Do feel free to post pics of your class in my FB group if you’d like to especially all the dishes they make. People love seeing those. Oooo, may have to try this tonight! Cook up some garlic butter shrimpies to go with it! Ooh like a shrimp and grits thing! Love it.